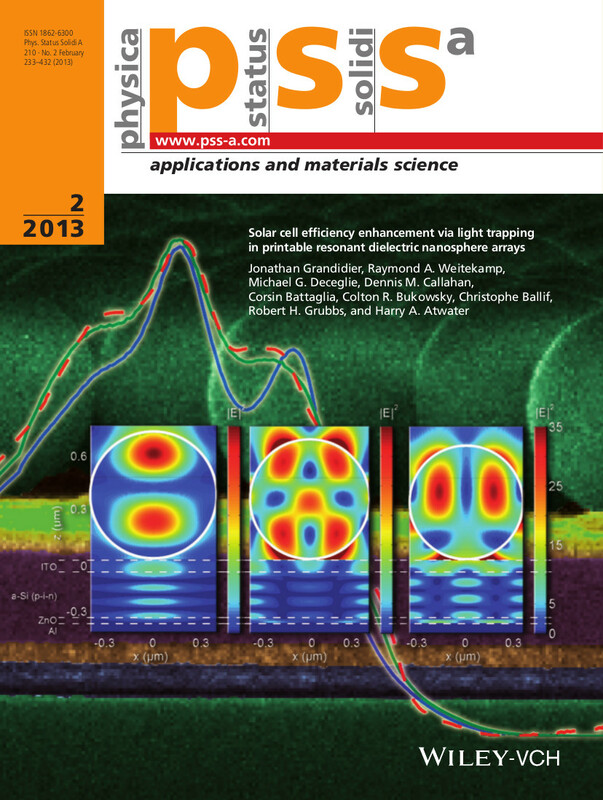 “Solar cell efficiency enhancement via light trapping in printable resonant dielectric nanosphere arrays” Phys. 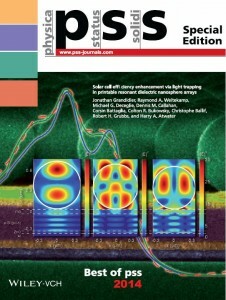 Status Solidi A 210(2), 255–260 (2013) was featured in the special edition “Best of pss 2014” with front cover. Resonant dielectric structures are a promising platform for addressing the key challenge of light trapping in thin-ﬁlm solar cells. Grandidier et al. (pp. 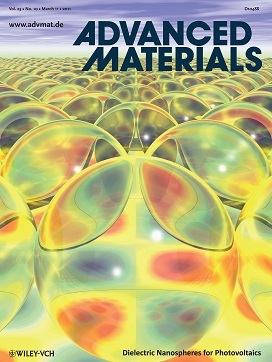 255—260) experimentally and theoretically demonstrate efﬁciency enhancements in solar cells from dielectric nanosphere arrays. Two distinct amorphous silicon photovoltaic architectures were improved using this versatile light-trapping platform. In one structure, the colloidal monolayer couples light into the absorber in the near-field acting as a photonic crystal light-trapping element. In the other, it acts in the far-field as a graded index antireflection coating to further improve a cell which already included a state-of-the-art random light-trapping texture to achieve a conversion efficiency over 11%. Thursday 25th October 2012. 45 min. 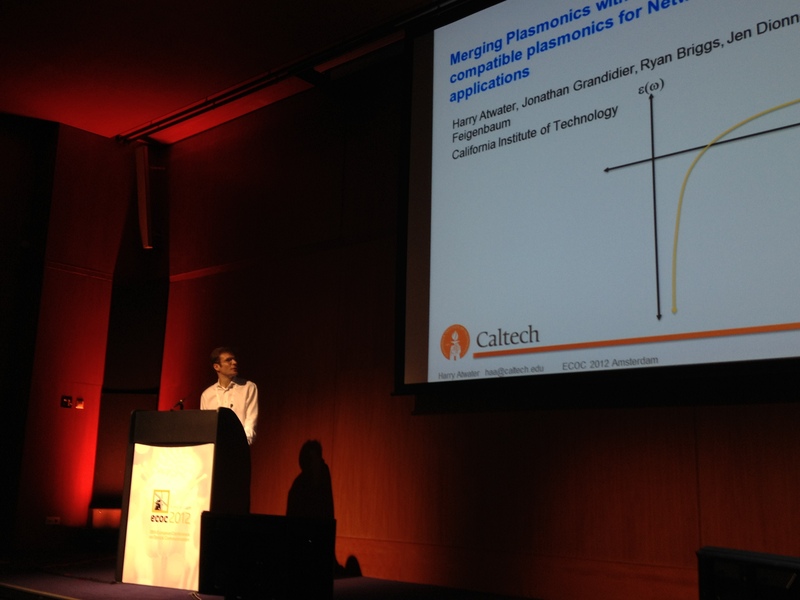 Presentation at ECOC2012 “Merging Plasmonics with Silicon Photonics CMOS compatible plasmonics for Network-on-Chip applications” for the workshop “WS01 Plasmonics for Optical Interconnects: Challenges and Opportunities” – September 16th 2012. 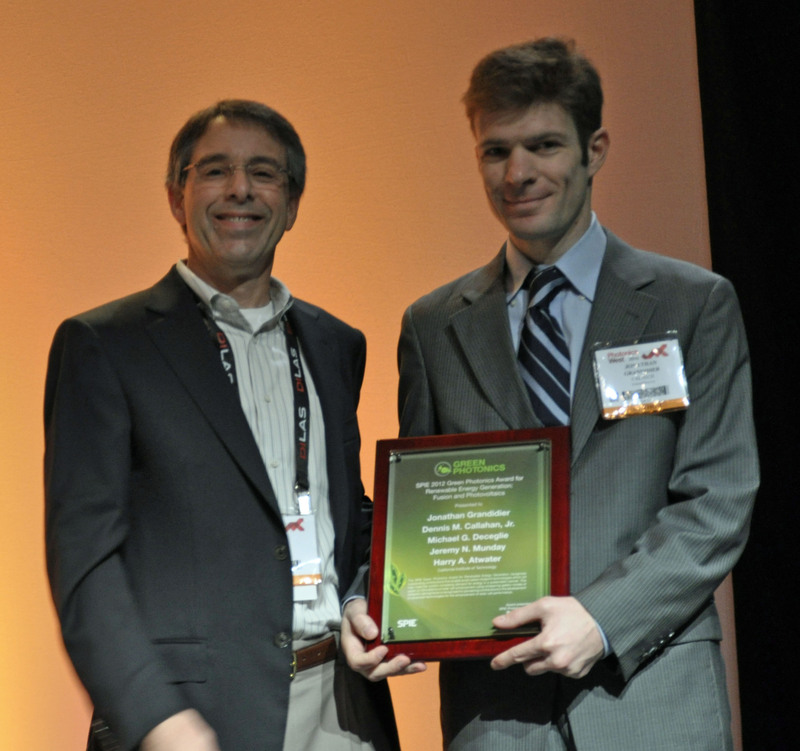 Green Photonics Award for Renewable Energy Generation: Fusion and Photovoltaics – January 24th 2012. A visual journey through the science and research conducted at the “The Light-Material Interactions in Energy Conversion” Energy Frontier Research Center (LMI-EFRC) supported by US Department of Energy (DOE) Office of Basic Energy Science (BES). Caltech scientists look at the outside instead of the solar cell’s inside and find the next way to increase efficiency. 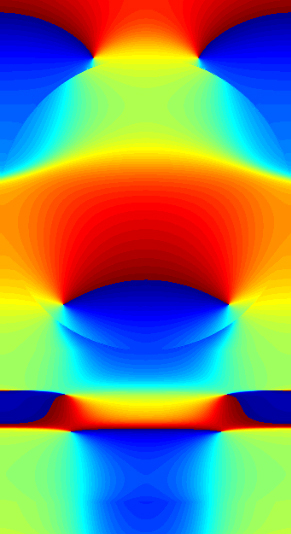 Simulation of the electric field in a solar cell enhanced by the resonance of a dielectric nanosphere. Link to the image. 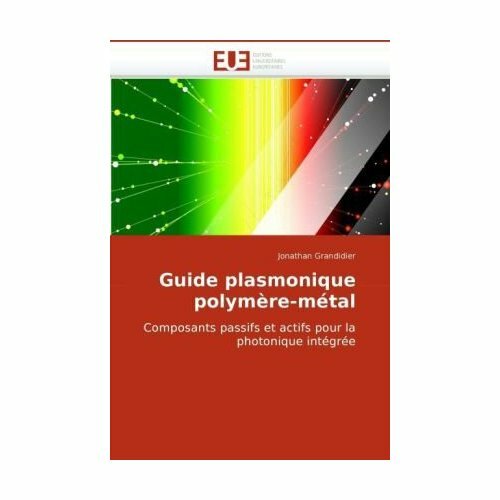 A novel approach to increasing light absorption in thin-film solar cells is demonstrated by Jonathan Grandidier and co-workers on p. 1272. 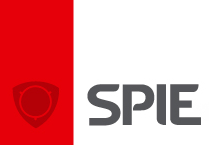 This new method involves redirecting the incident sunlight into the cell via coupling to the whispering gallery modes of dielectric spheres, which lie atop the cell. Such a scheme leads to a predicted current enhancement of >12% for a-Si. Thursday 10th December 2009. 45 min.